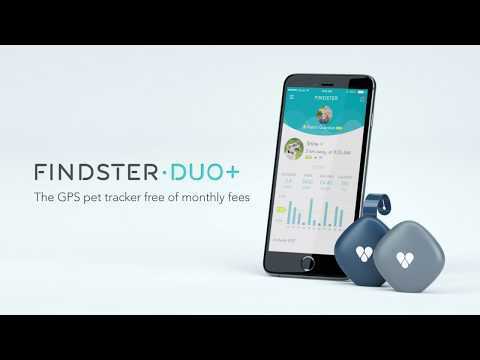 Findster Duo tracks your pets’ location using GPS with no data fees, and rewards you for keeping them healthy! Smart, connected and fun, it was designed to help pet owners assure their peace of mind. There are two Findster devices (one for you and another for your furry friend); using the Findster Duo App, you can track your pets' location in real-time and take advantage of several other useful features to assure their safety! There is no contract or monthly fees required: pay once and use Findster Duo forever! -Activity Tracker upgraded: New Levels included, with more challenges and badges. -Power Saving Mode added: Location updates happen every 60s instead of every 10s, greatly extending battery life. Activate this mode via the App Settings, and your modules will automatically switch to it at 30% charge. -Modules’ battery consumption has been optimized, and measurement is more precise. -Possibility to define Home Location added. This optimizes GPS accuracy by filtering grossly inaccurate positions. - Other bug fixes and corrections. -Other bug fixes and corrections. - Newly obtained badges are now displayed via pop-up notification! Also, you can now share your pet’s accomplishments on your social network profiles, with their photo and a custom description! - Notifications have been optimized with more specific descriptions, to make them more user-friendly. - Other bug fixes and general corrections have also been included.